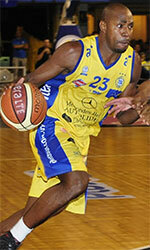 Universitarios de Panama (LPB) signed experienced 35-year old forward Odin Palacios (197-83, college: Knox). He already started the season at played at Caballos. In only one LPB game he recorded 3 points this season. Palacios is a very experienced player. It's very possible he may end his playing career at Universitarios. 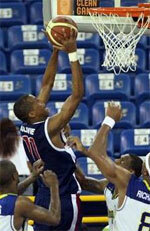 Palacios graduated from Knox College in 2007 and it is his twelfth season as a professional player.